WASHINGTON - Seven years after opening its National Museum of the American Indian, and four years before the scheduled unveiling of its museum of African-American history, the Smithsonian Institution is being urged to create another ethnic museum on the National Mall, this one to recognize the history and contributions of Latino Americans. A federal commission has spent two years asking Latinos what they would want in such a museum, and next month the commission will report its findings to Congress, which would have to approve a new museum. Though the creation of such an institution has support from members of Congress, Interior Secretary Ken Salazar and celebrities like Eva Longoria, building it faces significant obstacles, including budget pressures and a feeling among some in Washington that the Smithsonian should stop spinning off new specialty museums and concentrate on improving the ones it already has. In Washington, where politics infects all matters, there is wide acknowledgment that the 50 million Latinos who live in this country have become an increasingly important constituency. But even supporters of the museum acknowledge it faces a battle. “The atmosphere is not friendly at all,” said Estuardo V. Rodriguez Jr., a lobbyist with the Raben Group who has worked pro bono on the museum proposal, citing the economic pressures and what he described as anti-immigrant sentiment. The idea for a Smithsonian Latino museum was born in the mid-1990s when a task force said the Smithsonian had largely ignored Latinos in its exhibitions and should create at least one museum to correct that imbalance. The panel’s report, entitled “Willful Neglect,” found, for example, that only 2 of the 470 people featured in the “notable Americans” section of the National Portrait Gallery were Latino. Since then the Smithsonian has set aside money for Latino exhibitions and created an internal office to promote them. It agreed that a Latino heritage museum in San Antonio, which opened in 2007, be designated as an affiliate. Called the Museo Alameda, the institution is allowed to borrow materials from the Smithsonian, but is not financed by it. There are dozens of other museums across the country that focus on the heritage or culture of Latinos, whose population in the United States grew by 43 percent over the last decade, according to 2010 Census figures. But supporters of the national museum say it is imperative that there be a similar presence in the nation’s capital. While the commission is not expected to make specific proposals about content, the museum would probably try to cover a wide swath of history, from the role of the Spanish conquistadors to the work of Latinos in the labor and civil-rights movements. It would include culture, from popular music to visual arts, and would try to feature people and traditions from all Hispanic countries. She said that a museum that accomplishes that is particularly crucial now because discussions of immigration issues have created a “toxic” environment for Latinos. “It’s even more important to show other Americans that our roots go back centuries on this continent,” she said. Though legislation to authorize a Latino museum commission, known formally as the National Museum of the American Latino Commission, was first introduced in 2003 by Representative Xavier Becerra, a Democrat of California, it did not pass until 2008, as part of an omnibus budget bill. The economy and the balance of power in Congress have changed much since that vote, with Republicans now holding a 49-vote majority in the House of Representatives. Federal money for the museum would not appear to be an option, members of Congress say, as it was for the African-American and Indian museums. The National Museum of African American History and Culture has a $500 million price tag, half of which is being paid by the federal government. The government paid for two-thirds of the Indian museum. Commission leaders chose in recent days not to speak about their report before they brief Congress, in the first week of May. But it is anticipated that the panel will suggest that should a museum be authorized by the government, most of the financing could be raised privately. Smithsonian officials have said they are open to the idea of including a Latino museum in their network, though some concede that it would be difficult to raise money for such an institution from the private sector while they are still committed to raising $250 million to finish the African-American museum. Supporters of a national women’s history museum are also currently seeking Congressional approval to locate a new institution on federal land across the street from the Mall. Opposition to the Latino museum at this point is muted, and with the commission not yet having presented its report, few in Congress beyond the group of ardent supporters have focused on the issue. Representative Jack Kingston, a Republican of Georgia, said in an interview that he supported a Latino museum as long as it was not financed with federal money, and as long as he was assured that the museum would not become “an interest group’s platform to advance political agendas.” Representative Devin Nunes, a California Republican who is a member of the Republican-controlled Congressional Hispanic Conference, has in the past expressed ambivalence about the idea of a separate Latino museum, saying that he preferred the idea of a museum dedicated to all immigrants. A spokesman for Mr. Nunes, Andrew House, said in an e-mail that Mr. Nunes still supported the idea of a museum of American immigrants, provided it is privately financed. The Latino museum commission envisions a 310,000-square-foot building, roughly the same size as the African-American museum. 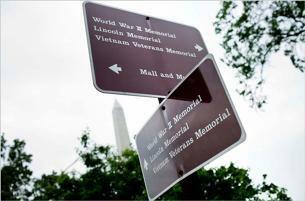 As of last summer it had narrowed its list of desired sites to four, all of them on the National Mall. Three of the options would entail additions to existing buildings — including, in one case, the vacant Smithsonian Arts and Industries Building. But any construction on the Mall can be controversial. Judy Scott Feldman, the president of the National Coalition to Save Our Mall, said her group opposes any construction on the mall until a new master plan is created to guide development. “What’s happening is we just keep jamming things into the limited space,” she said. When the Latino commission started its work in 2009, supporters predicted the museum might be up and running in a decade. Today Mr. Rodriguez, the lobbyist, said, the path looks longer. He said he hoped to persuade politicians with large Latino constituencies of the merits of the proposal and build from that.